We at “Human Care Air Ambulance” are committed to provide 24/7 Emergency air ambulance services in Bangalore India with the best of amenities and the quickest of Emergency Medical Air Ambulance Service .The biggest responsibility of the team including the medical team and the pilot himself is to transport the patient to the higher medical facility centre in a condition that can be further improved by top medical experts at the health care centre. The safety of our patients transportation is the single most important factor that is considered during the patient transport service through air aviation. We also take into consideration the weather, wind pattern and the distance to be travelled to ensure the safety of the patient as well the crew. “Human Care Cardiac” provides the transportation of patients through use of helicopters/airplanes. Our air aviation provides the patients with the flying ICU services and this is the most important part of emergency transportation. We provide bedside to bedside transfer of patients making it hassle free for them and the family. As a part of medical equipments facilities, we also provide the patients with oxygen cylinders and ventilator support for emergency assistance till further medical treatment. We also keep a proper provision of emergency medications in the air transport for initial stability till the patient is transported to the healthcare centre. 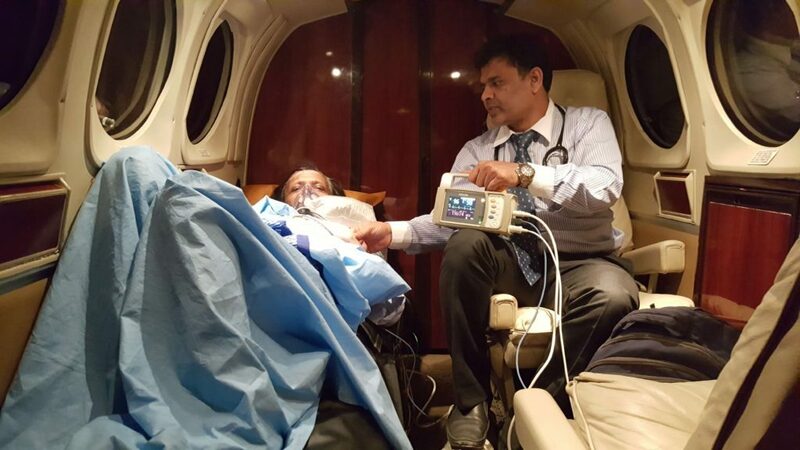 Our sole purpose is to provide the best of aero-medical services in Bangalore that are quite reasonable to afford for the majority of terminally ill or seriously injured patients across the city. Human Care Air Ambulance company is the proud provider of the most affordable air ambulance services in Bengaluru. We are specialized in the art of saving lives through the best possible air evacuation ways and the most advanced technology. At times of critical emergency, “Human Care Cardiac” works as a critical care emergency unit and thus, helps in transporting the patients from their own locations to the healthcare centres with world class medical facilities through the best air ambulance aviation in Bangalore. Our team of Emergency Medical Patient Transport Services in Bangalore put all their efforts to treat the patients like a member of their own family and take care of them the same way. When you call for the Emergency or Non Emergency air ambulance services in Bangalore, our team of medical experts determines the needs of the medical attention that the patient requires during the air transport. They help provide the proper medical treatment as early as possible by transporting the patients to the hospitals on time. The whole idea behind the foundation of “Human Care Cardiac air ambulance services” is to save lives by providing Emergency patient transport service in Bengaluru through use of air aviation. Both aero-medical and aeronautical team of experts come together as a part of the package of top air ambulance services in Bangalore India for delivering the best of medical transport services to the patients.